Ubisoft knew they had a bonafide hit on their hands once the first Assassin's Creed was let loose upon the public. Despite its flaws (some of which were eventually fixed, some lingered) the unique setting was one of its strongest elements, and before long fans were asking "where to next?" So far -- if you count the spinoffs -- we've been to Jerusalem, Italy, America, the Caribbean, France, China, the UK, India, Russia, and Egypt. Before the latter came into play it was one of the most requested locales, as well as the obvious setting of Japan. 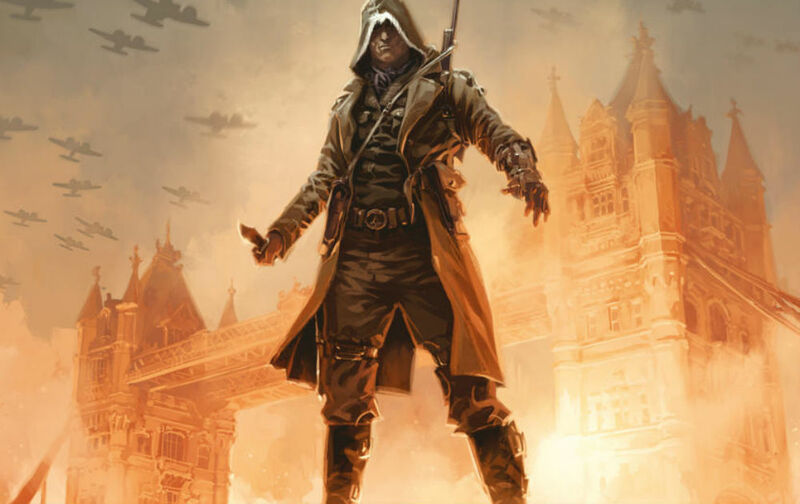 The list has grown so long that Ubisoft has started to acquiesce some of these time periods in other forms of media, which includes the upcoming Titan Comics series Assassin's Creed: Conspiracies, set during World War 2. It'll feature Eddie Gorm, East End dock boss and eventual assassin, and will be released in October. The real question is -- will the games eventually adapt the World War 2 setting folks have wanted for years? Assassin's Creed: Conspiracies [Amazon] Thanks Jeff!